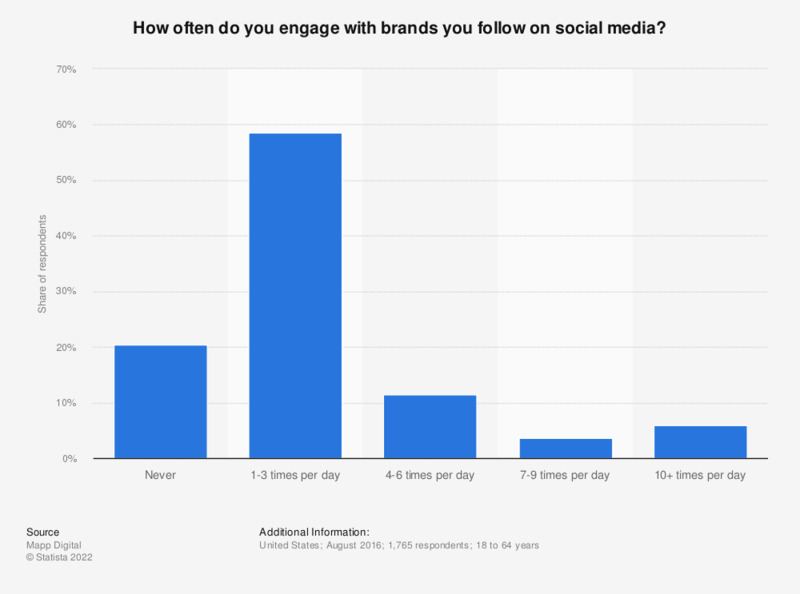 How often do you engage with brands you follow on social media? This statistic presents information on the U.S. consumer social media brand engagement rate. During the August 2016 survey, 58.6 percent of respondents stated that they interacted about one to three times per day with brand posts on social media. What do the brands that you follow on social media do that makes you want to stay connected to the brand? For each of these sites, what types of people are you connected to? Why do you like to follow brands on social media?